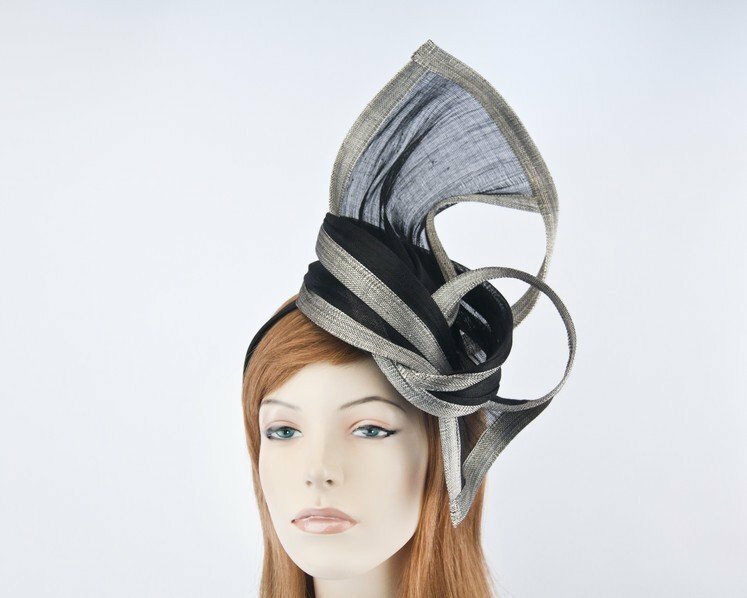 This elegant tall Fillies Collection fascinator is hand made from silver and black luxurious paris cloth fabric and placed on the headband for comfortable fit. This fascinator is proudly made in Australia as ordered, so allow few days for creation of yours. Please note, we can make this style in almost any color! Hats From OZ — home of beautiful Australian made ladies fashion hats and fascinators.